Barack and Michelle Obama are heading to television as they sign a multi-year producing deal with streaming giant Netflix. In a press release from Netflix, President Obama said: “One of the simple joys of our time in public service was getting to meet so many fascinating people from all walks of life, and to help them share their experiences with a wider audience. 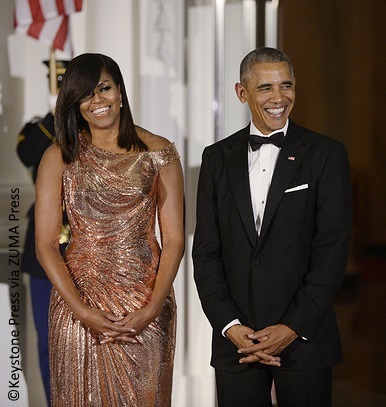 The Obamas’ content will be featured under the banner Higher Ground Productions, which will produce “a diverse mix of content,” including the potential for scripted and unscripted series, documentaries and features. They can produce “Thirteen Reasons Why The Democrats Lost”. In the latest episode of Riverdale, Archie (KJ Apa) and Veronica (Camila Mendes) successfully convince the state’s governor to pardon Archie's friends.